Driving has a big impact on public health including physical inactivity and air pollution. 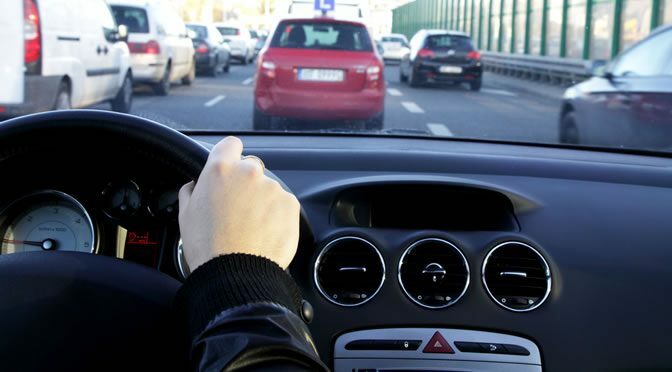 Compared to people who spend 15 minutes or less in their car a day, those who drive an hour are 1.5cm wider around the waist and 2.3kg heavier. The new study also shows that compared to women, men spend more time in their car commuting and so are more likely to put on weight. This is a reminder that the convenience of car travel can have a large impact on public health, leading to increased risk of obesity, diabetes, heart disease and stroke. 86% of adults in the US spend the majority of their trip to work or elsewhere in the car. The figure is 78% in Australia, 64% in the UK and 53% in Sweden. Compared to non-car commuters , those who travel in the car have a much higher chances of being overweight or obese. In this study, Professor Takemi Suigyama and his team, examined the driving habits of 2,800 adults and a range of cardio-metabolic risk factors (the odds of having diabetes, heart disease and stroke), blood sugar, waist circumference and body mass index (BMI). “Prolonged time spent sitting in cars, in particular over 1 h/day, was associated with higher total and central adiposity and a more-adverse cardio-metabolic risk profile. Transport sectors have been trying to promote active travel mainly to reduce congestion, air pollution, and the proliferation of automobile related infrastructure. The study was published in Preventive Medicine (Sugiyama al., 2016).